Market by Type: Mineral Oil Lubricants, Synthetic Lubricants, Bio-Based Lubricants. Application: Engines, Gear & Transmission, Hydraulics, Greasing, Technical Fluids. Decrease in the agricultural labor force in both, developed and emerging nations has led to an increase in the use of farm machinery, such as tractors and combines, thereby increasing the demand for lubricants used for such machinery. Government subsidies on farm equipment in countries such as China, India, and the US have encouraged farmers to buy agricultural equipment, which, in turn, is leading to an increase in the demand for agricultural lubricants in these countries. The engines segment is expected to be the fastest-growing application segment of the agricultural lubricants market during the forecast period. Tractors require diesel engines to pull large and heavy loads, and these engines require to be lubricated with engine oils once or twice a year to enable smooth functioning. Engine oils are used in agricultural equipment to provide wear protection to engines, and provide enhanced performance at extremely high or low temperatures. Asia Pacific to account for the largest market share and is expected to be the fastest-growing market for agricultural lubricants during the forecast. China is the largest market for agricultural lubricants in the Asia Pacific region, in terms of value and volume. It is the world leader in farm output, with its produce comprising rice, wheat, tomato, peanuts, tea, cotton, and soybean. Improved agricultural regulations and policies and use of advanced machinery have helped China in becoming an independent and self-supporting country in terms of agricultural produce. 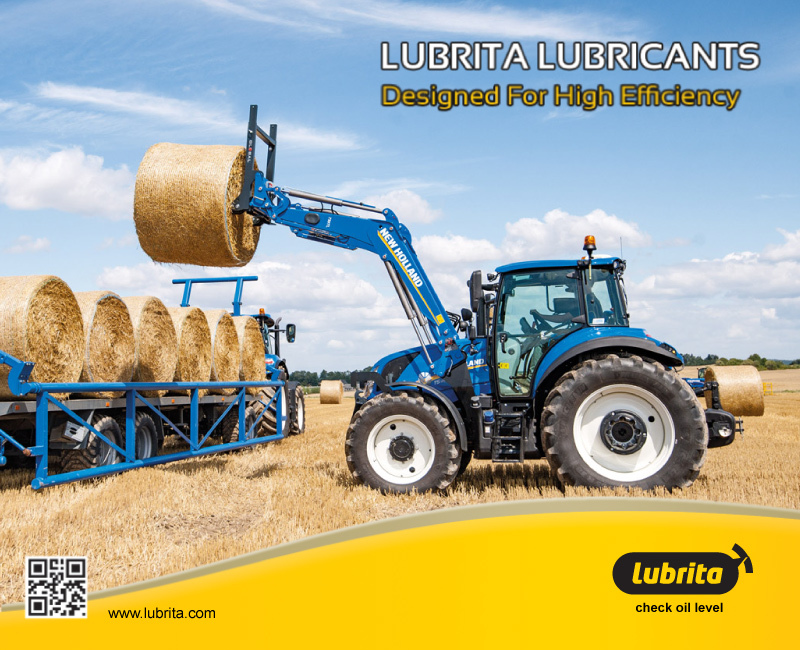 LUBRITA Agricultural Oils and Lubricants.